The FM systems, while originally developed as a communication means for children with impaired hearing, have proven effective for many other conditions – learning difficulties, attention deficit hyperactivity disorder, developmental dysphasia and autism. The use of FM systems in group and individual work contributes for the development of speech and language skills /one of the essential deficits among children from the autism spectrum/, as well as for concentration of attention and improved engagement with the study process. The FM systems enhance therapist’s/tutor’s voice as opposed to general background noise level and deliver the desired information to the child in it’s original state, unaffected by surrounding distractions. With the system’s help, children visibly pay more attention, stay calmer and learn more. For some children from the autism spectrum, processing of information, mainly visual and auditory, is inhibited. Full integration of visually and aurally percepted stimuli and extraction of the essence is not performed adequately /or is deferred/ and as a result understanding of delivered information is impaired. Also, among autist children is often observed sensory integration dysfunction, which additionally hampers the abilities for understanding and work in the typical noisy classroom. Equipment used for individual work is FM system Roger Inspirio. A key feature of every Roger system is the wireless microphone for the tutor. The student receives their processed voice through headphones. 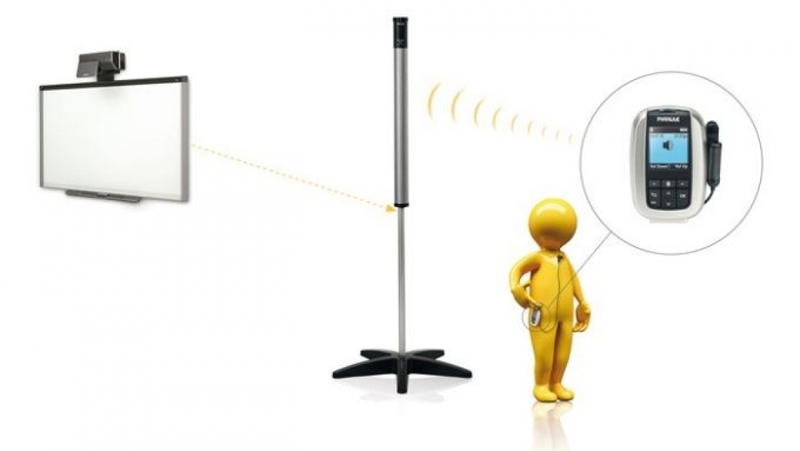 For group work the room has to be equipped with FM system Dynamic SoundField, which represents a sound tube fixed at 110 cm height frontally against the students. No other appliances are needed for group work and the teacher again has a transmitter and a microphone. It is very useful for inclusive education, when there are autistic children in a regular class. Not all autist children accept wearing headphones during individual work. Here can be helpful parents and gradual habituation.